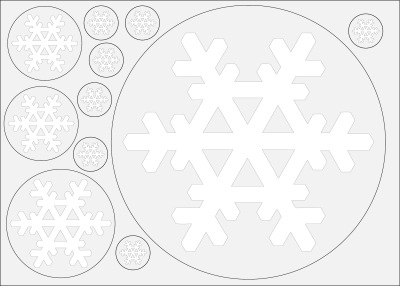 White Snowflake Design printed and supplied on Low Tack Clear Vinyl Circles. 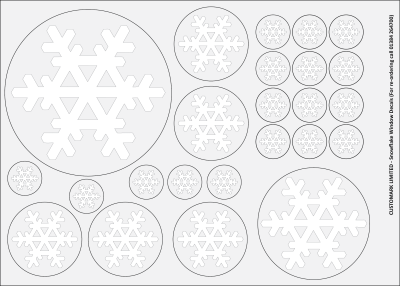 1 Pack (56 Varied Sized Snowflakes) = £16.50. 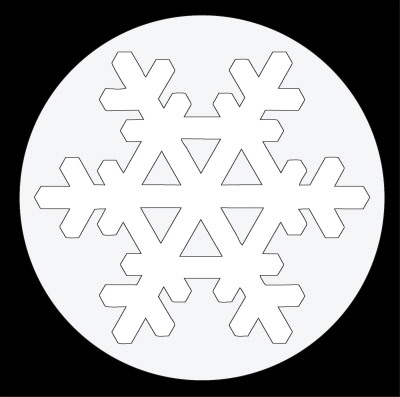 Perfect for dressing Shop Windows during the Festive Period as a way of enhancing your Christmas Promotion and making your message or product stand out from the crowd. 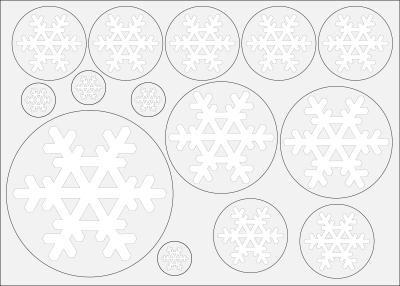 But can also be used as a way of decorating residential windows. 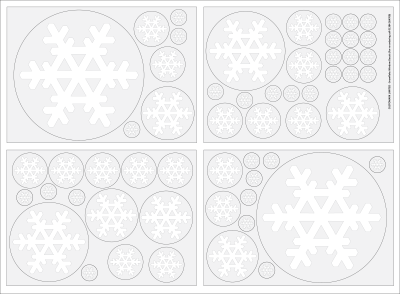 Snowflake Design sizes included in this pack are as follows : 2 x 240 mm Circle , 2 x 146mm Circle , 5 x 98mm Circle, 16 x 65mm Circle & 31 x 30mm Circle. 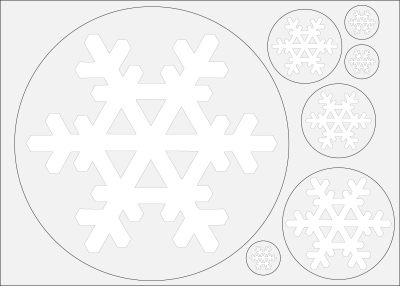 Also available in bespoke sizes or cut to exact snowflake shape upon quotation request.